Providing astrology remedies for the problems that comes in your children's study - education. How to over come that and give smooth education to your children. There must be harmonic bonding for good study. 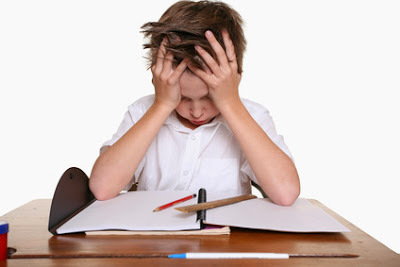 If child have headache, eye, neck and waist pain then he/she cannot study well. This type of children cannot get good result although studying well. If the mind line is straight, there is no link, it is not breaking up in middle, not broaden. If the Moon is good then you should find that why there is problem occurs in study. If you get headache after studying, do not feel fresh after wake up, and then you should take measures in this condition. If there is heaviness on eye then you cannot concentrate on study. Posture of sitting is helpful in studying, if you do not seat well there must be problem in study. Always sit straight while studying. If child has problem of indigestion, bile and cough then he cannot study easily. Gas gives the pain in stomach, feels unease so child cannot study easily. Child cannot write complete sentence, writing becomes weak so that you should keep your stomach clean. Cough is the problem which is relating to head, eye and legs. Gas problem is relating to stomach, waist and neck. Bile problem is relating to unease and it increases the disorder. If the Sun is weak then stomach problem occurs. If Moon, Saturn and Venus are weak then it affects the cough system in body. If Saturn is weak then there must be backache, child cannot study aggressively. If Venus is weak then there must be eye problem, child cannot learn easily. Child should go for running. Play for a while, take a walk, and change the atmosphere. Listen the music. Do meditation, also learn some yoga and do that. Do regularly “Taad Ashan, Pavanmukt, Nauka and Sarvang Ashan”. Learn “Chakrashan” and do it regularly.